The Fix: Welcome Ludivine Javelaud! In February, Ludivine Javelaud began a six month internship with Preservation Services in the Libraries’ book conservation lab. Ludivine was born in Limoges in the Limousin region of France. At an early age, she discovered a love for drawing and Art and she fondly recalls regular family visits to museums, castles, and historical sites. These experiences led her to initially consider training to become a paintings conservator and she pursued and completed degrees in Art History at the Université Paris-Sorbonne (Paris IV). During her courses in Art History, she found employment in various libraries and archives to help support her studies and discovered that paper based works, such as drawings, engravings, and books, were her favorite media. She decided to embark on an additional course of study and is now in her fourth year at the Institut National du Patrimoine in Paris where she is working toward earning a degree in Conservation of Heritage with a specialization in Books. Thus far during her internship, Ludivine is reviewing, documenting, and treating multiple issues of a scientific journal entitled Les Lepidopteres de La Belgique. 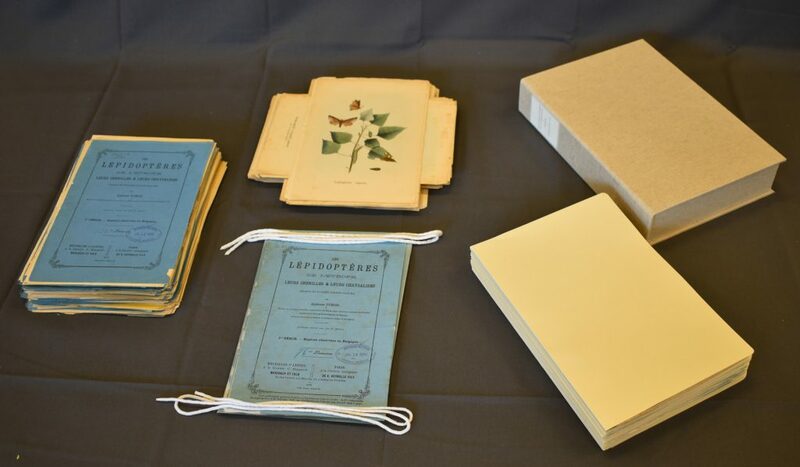 Focused on Butterflies, this series was originally published in Brussels and Leipzig between 1859 and 1882, and is part of the collection held in the Smithsonian’s Joseph F. Cullman 3rd Library of Natural History. Les Lepidopteres de La Belgique in various states of treatment. 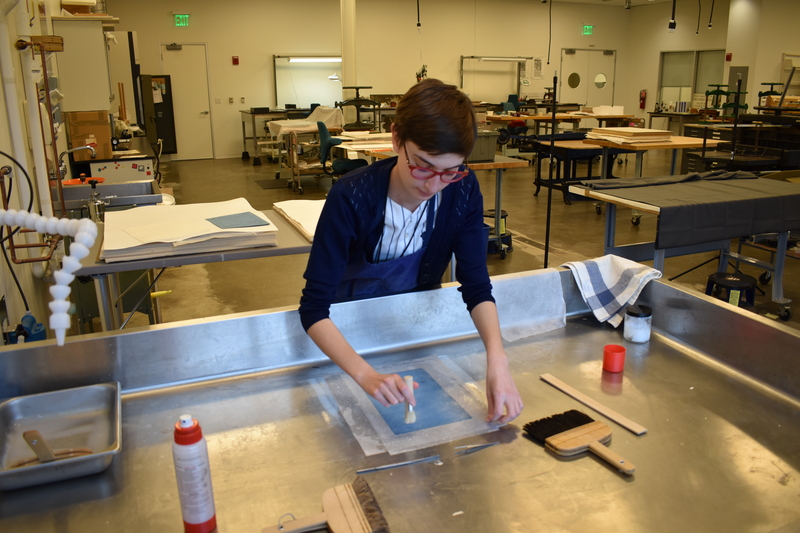 Upon completion of her Conservation of Heritage degree, Ludivine hopes to find employment in Europe at a library, museum, archive, or other institution. She would like to share her Book Conservation knowledge not only as a caretaker of collection items, but as a collaborator with other conservators to promote continued public interest in cultural heritage.